With regards to specific conditions, Yoga has been found – by a variety of individuals as well as documented research – to assist and reverse many different conditions. Although for many years the medical establishment was quite suspicious of alternative, non-allopathic approaches, the fact that Yoga does fit with the general notion of “physical activity is good for us”, has helped since many physicians – if not actively encouraging their patients to participate in Yoga activities - would not object to it, seeing that it does not involve anything suspect such as herbs. Thus, many cases of people with intense medical difficulties were allowed to undertake Yoga training and so contribute to the growing trend of Yoga as a therapy as well as life-style practice. The decisive moment came in the early 90-s when the esteemed British medical journal – The Lancet, published a research indicating that life-style changes such as Yoga-based stress management can reverse heart disease. The unique combination of stretching, exercise and relaxation in Yoga is a successful inhibitor to deteriorating arthritic conditions. The most common aggravation suffered by people is back-pain. Yoga has been shown again and again to be extremely useful in treatment of both chronic and acute back-pain because of the double benefits of increasing strength and flexibility. Since High Blood Pressure is in effect hypertension, yogic approach of exercise, relaxation and breathing techniques have been found to lower blood pressure and reduce the need for medications. Many researches in India report impressive results in improvement in the general condition of Asthma sufferers as well as acute success during attacks utilising Pranayama techniques. One of the most common modern afflictions is Carpal-Tunnel Syndrome, which often happens to those who spend many hours at the keyboard. In a recent research published in the Journal of American medicine, Yoga was found to ‘substantially relieve symptoms’ of sufferers. One of the other aspects that makes Yoga an excellent tool in treatment of myriad conditions and in their degrees of severity, is the fact that there are no fixed remedies – just the basic postures have dozens of possibilities in combining a routine which is appropriate for the conditions. For example, a person who suffers a heart ailment or someone with high blood pressure would benefit from breathing techniques and meditation. Another, with a digestive disorder, may practice Yoga poses with spinal twists that stimulate the internal organs. A frail and/or elderly person or anyone with symptoms of severe arthritis can practice postures while supported by cushions, bolsters or simply using the wall to exercise full range of movement in a safe and gentle way. Nowadays, the practice of Yoga is gaining increased acceptance in the medical community. Many hospitals now offer Yoga therapy, and numerous research studies designed to test its therapeutic effects are taking place. 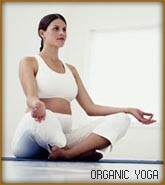 Yoga is beneficial for many conditions as well as general maintenance of a healthy lifestyle and well-being. It helps easing the symptoms of chronic conditions and boosts the immune system. It can acutely affect for the better severe conditions such as coronary arterial disease and pulmonary conditions. Yoga has been found by many to reduce the suffering caused by backaches and headaches. It is useful for lowering high blood pressure and hypertension. Even by the sceptics of alternative medicine, Yoga has been recognise as a viable form of physical therapy for anyone who has undergone physical trauma (by accident or operation) where stretching and relaxing helps to regain lost mobility. Even more so, it is a splendid form of meditative exercise and a path on the quest for self-knowledge.